Citizen participation may be hot and happening right now, but it’s not a new phenomenon. Besides heading to the ballot box every few years, citizens have been showing up to town hall gatherings or collecting signatures since the birth of modern democracy. The rise of the digital age brought about new ways of participating. 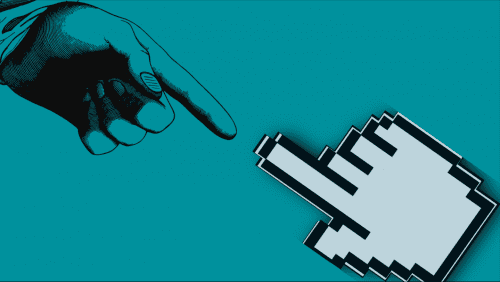 Digital participation platforms offer a low-threshold and low-effort alternative to their offline counterparts. It’s a great way to engage people who work fulltime, have families, or generally don’t find the time to participate in offline touch points. On the other hand, offline participation has proven its value to mobilise people who aren’t as digitally inclined. So which is better? Easy online participation that engages youngsters but has the potential to scare off an older demographic? Or offline participation, which is usually more time-consuming but also generally more profound? Luckily, there’s no need to choose. There’s a middle way and it’s paved with gold, because offline and online participation are two sides of the same coin. The two formats have the same end goal : building bridges between governments and citizens by giving people a voice and the opportunity to weigh in on local policy. A combination of online and offline participation strengthens the final outcome of your participation project. It has the potential to reach a broader audience and is, therefore, more inclusive and democratic. It combines the efficiency and ease of digital with the more profound and personal touch of offline participation. To illustrate what the combination could do for your community, we’ll shine a light on two interesting case studies. Temse, a Belgian municipality in the province of East-Flanders, recently launched its online participation platform. The aim of the platform, among other things, is to gather ideas for the new Mobility Plan. On the platform, the administration gauged for ways to improve mobility and traffic safety in Temse. Inhabitants suggested ideas such as cycling highways, a ban on motorised vehicles in the centre, or transforming regular streets into one-way streets. The online platform also offered people the opportunity to enter ‘open ideas’. These will help the administration prioritise policy domains for the multi-annual plan. A good strategy, because citizen support is crucial for the success of such a long-term plan. But a special thing about the Temse case is that the municipality combined this online participation approach with offline methods. For example, the municipality hosted a ‘Mobility for Citizens’ workshop. After the exploration phase, the administration invited citizens to reveal their questions, visions and concerns on the topic of mobility. The city will take this input into account during the implementation phase. 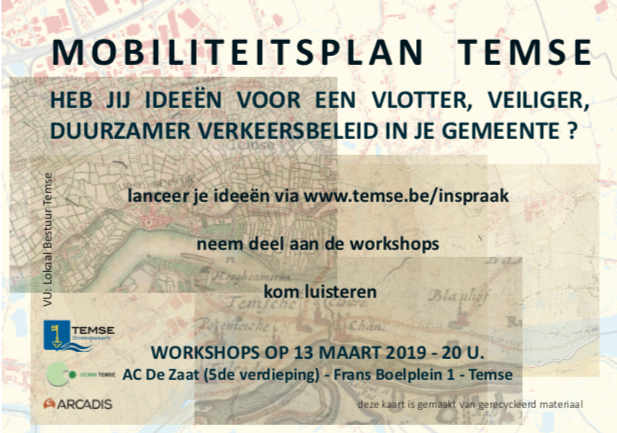 After selecting ideas, the administration will host a second offline event to present and discuss concepts with the people of Temse. Another smart (and frankly, very charming) move was the distribution of postcards that invited citizens to the platform and workshops. It was also possible to write an idea on the postcard and send it back. The postcards didn’t only create a buzz about the launch of the platform. They also engaged the people that weren’t inclined to participate online. 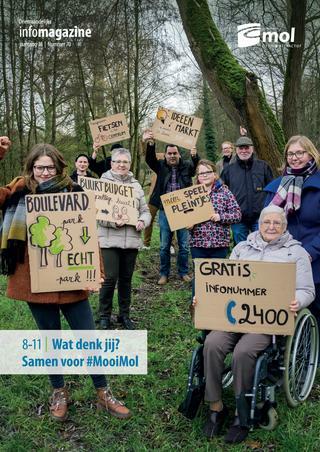 Mol, a Flemish municipality in the Antwerp province, is best known for its beautiful lakes, and soon, for its successful participation projects! In light of the new multi-annual plan, the administration recently launched an online platform to gather citizen input on no less than fifty municipal ideas and suggestions. These ideas were bundled in 7 overarching topics: equal opportunities for all, city services, co-existing in a nice environment, tourism, mobility, language and CO2-reduction. During the ‘What do you think?’ (‘Wat denk jij?’)-campaign, citizens had the opportunity to react to these ideas, interact with other citizens, and share their own suggestions. This online ‘idea bank’ kicked off at an offline event that invited citizens to come together and share their ideas. The event drew 420 visitors who voiced their opinions on over 2.500 post-its and created a buzz about the online platform. The combination of online and offline methods worked wonders in Mol. The ‘What do you think’-campaign was very much alive in #BeautifulMol (#MooiMol), and it served as yet another indication that the whole is greater than the sum of its parts. Participation in your city or municipality? Are you thinking of implementing digital participation in your local government? Get in touch or download our free e-guide that covers all the basics!